The Carolina Panthers have more problems than Jay-Z and his 99 problems. The current state of mind for this team and the fans is the Panthers are not built for an empire. Ok, I am done with the Jay-Z references. The Panthers’ roster is full of players who are both suspended and injured. The 12-4 record from last season is an afterthought, because of all the bad things that keep on happening. The Panthers play the Chicago Bears this week and will have to go to battle with rookies and backups. How are the Panthers fighting through this huge list of problems? How are they trying to give us fans hope? They are giving their rookies an opportunity to show the NFL why they deserve a spot on this team. Who are these rookies? 1. Kelvin Benjamin (WR) – The Carolina Panthers first round pick in the 2014 NFL Draft. 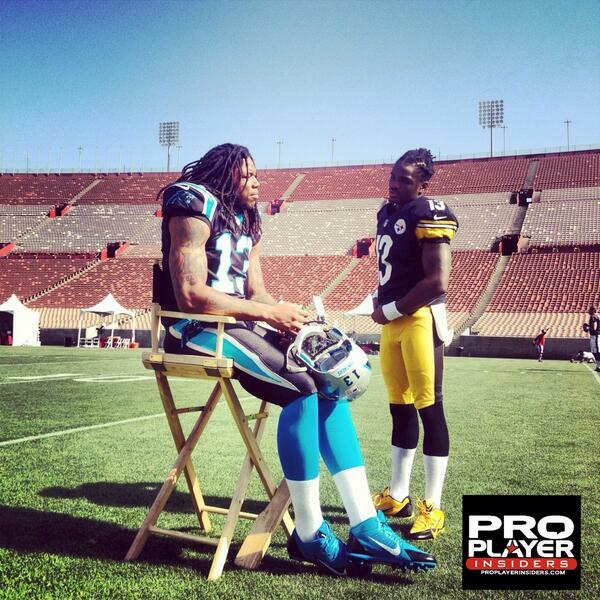 We all know who Kelvin Benjamin is. He has started for the Carolina Panthers since game one. Benjamin currently leads the Panthers in receiving with 21 receptions, 329 yards and three touchdowns. He is currently on pace to be the offensive rookie of the year. He has the size of Calvin Johnson and the hands of Larry Fitzgerald. Benjamin is both a key player and impact player on this Carolina Panthers squad. 2. Darrin Reaves (RB) – Darrin Reaves is a hidden gem out of UAB. Reaves was undrafted and showed the Carolina Panthers what he had in the tank in camp. He is a small running back, with a compact build that loves contact. Reaves recorded a total of 2,337 rushing yards in college, and played on a team that had a losing record of 8-28. Reaves has earned the starter role against the Chicago Bears and should punish some linebackers on his way to the end zone. 3. Kony Ealy (DE) – The second round pick for the Carolina Panthers in the 2014 NFL Draft. Ealy is a big, athletic, pash rusher who is quick off the snap. He was First-team All-SEC in 2013 and finished the season with 43 tackles, and 9.5 sacks. He has had some ups and downs throughout the preseason and season. Cam Newton gave Ealy some tough love during camp, and Ealy used that fuel to light his fire. Kony might get the opportunity to play more because of the injury to Charles Johnson and the suspension of Greg Hardy. Ealy should be able to help pressure Jay Cutler and cause an interception or two. If the Carolina Panthers want to get into the NFL playoffs this season, they will need help from their rookies. Do you see these rookies having an impact on the matchup against the Chicago Bears?